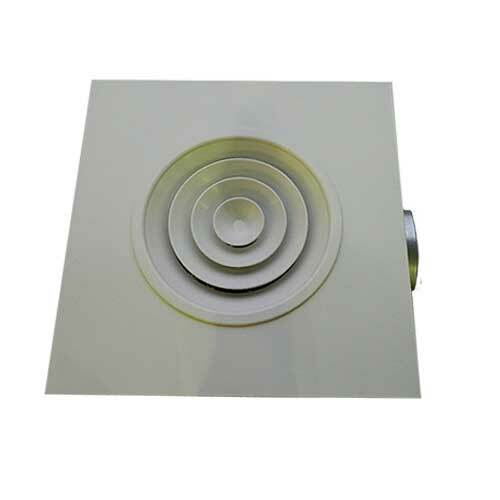 Circular Multi Cone Diffusers CPD (mounted in a 596sq plate) designed to handle large volumes of air and distribute it evenly in a 360° pattern. Various blow patterns achievable by moving the core into or out of the frame. Adjustable core makes adjustment of throw easy. 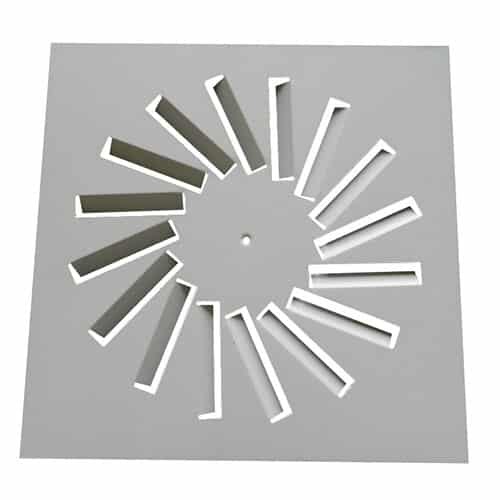 Circular Plate Diffusers CPD (mounted in a 596sq plate) are designed to handle large volumes of air and distribute it evenly in a 360° pattern. Various blow patterns can be obtained by moving the core into or out of the frame. Adjustable core makes adjustment of throw easy. 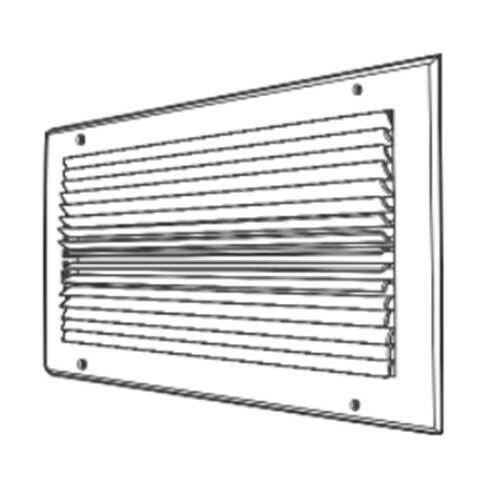 Screwing in the core gives a mostly vertical throw, perfect for spot cooling. 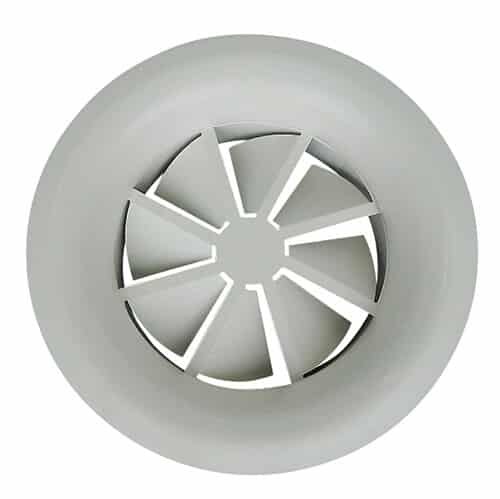 In contrast, rotating the core out directs the majority of air sideways for excellent diffusion. 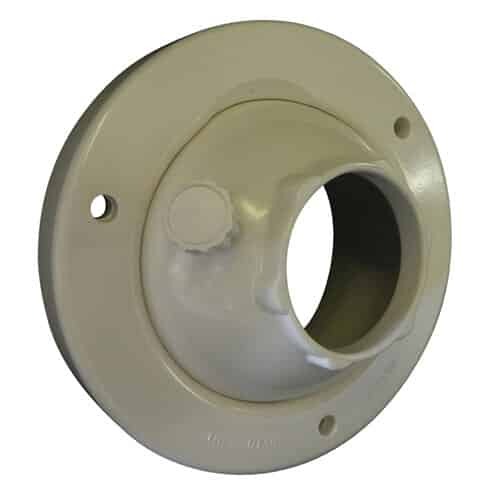 Standard finish is RAL9010 or polyester powder coated to the customers colour requirement.